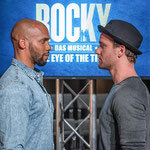 Heute haben die Proben für Stuttgarts neues Musical ROCKY begonnen. 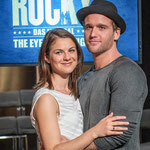 Nikolas Heiber verkörpert Rocky Balboa und Lucy Scherer spielt die Rolle der Adrian. Mit diesem Paar erlebt das Publikum eine leidenschaftliche Liebesgeschichte und wird selbst Teil eines atemberaubenden Live-Erlebnisses. Denn im großen Finale schiebt sich der Boxring mitten in den Saal und verwandelt das Theater in eine Arena. 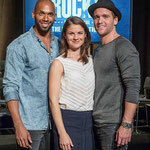 Today rehearsals for Stuttgart's new musical ROCKY have begun. Nikolas Heiber plays Rocky Balboa and Lucy Scherer takes on the part of Adrian. With this couple, the audience will experience a passionate love story and will take part in a breathtaking live event. For in the big finale the boxing ring will move forward far into the auditorium and transform the theater into an arena. Die Hauptdarsteller stehen fest: Lucy Scherer und Nikolas Heiber spazieren über den Stuttgarter Schlossplatz und beantworten erste Fragen zu ihren Rollen und zum Musical ROCKY. Was Lucy in dem Video erzählt, könnt ihr im Interview von Stage Entertainment nachlesen. Das haben wir für euch übersetzt. Einfach weiterscrollen auf der Seite. 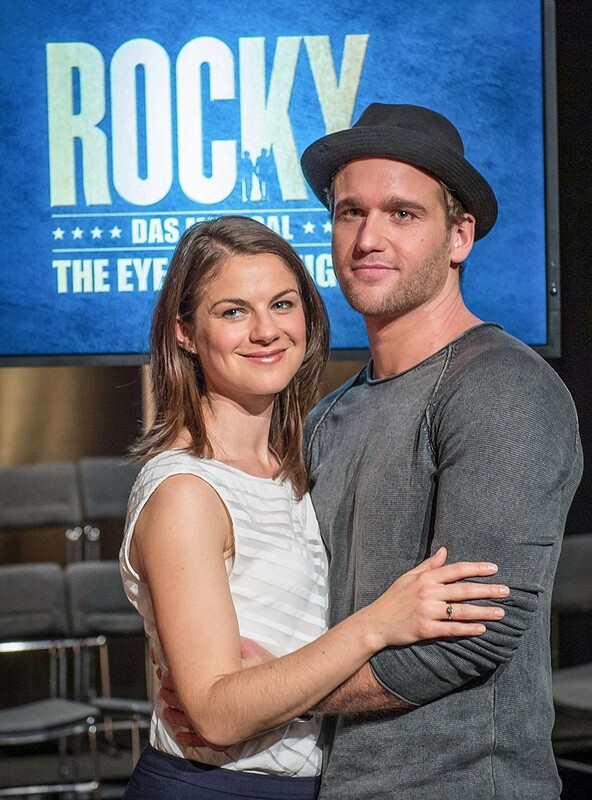 The leads have been confirmed: Lucy Scherer and Nikolas Heiber are strolling around Stuttgart Schlossplatz (castle square) answering the first questions about their roles and the musical ROCKY. What Lucy is saying in the video, you can read in the interview from Stage Entertainment. We translated it for you. Just scroll down the page. You are a very versatile actress and singer. 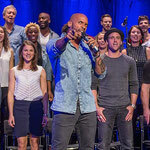 The TV audience has seen you in the Sat.1 telenovela „Hand aufs Herz“ or on ZDF's „Der Staatsanwalt“, you have accompanied the concert event „Disney in Concert“ and have stood onstage for several theater productions. 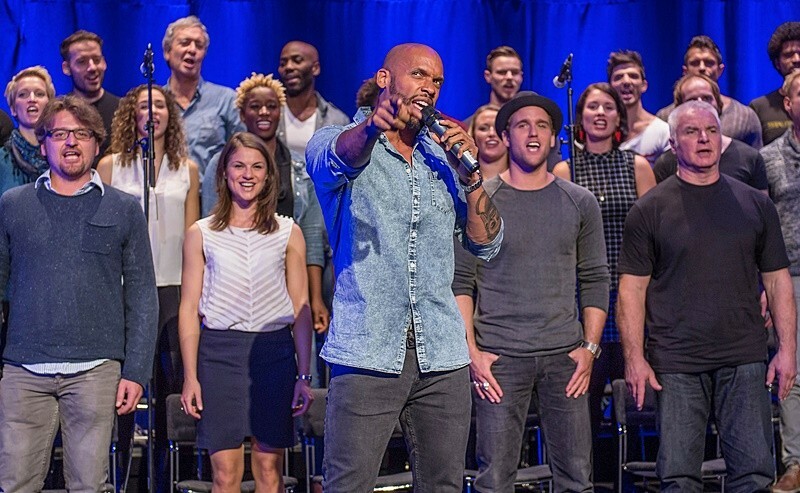 What are you looking forward to the most, now that you're back on the musical stage? 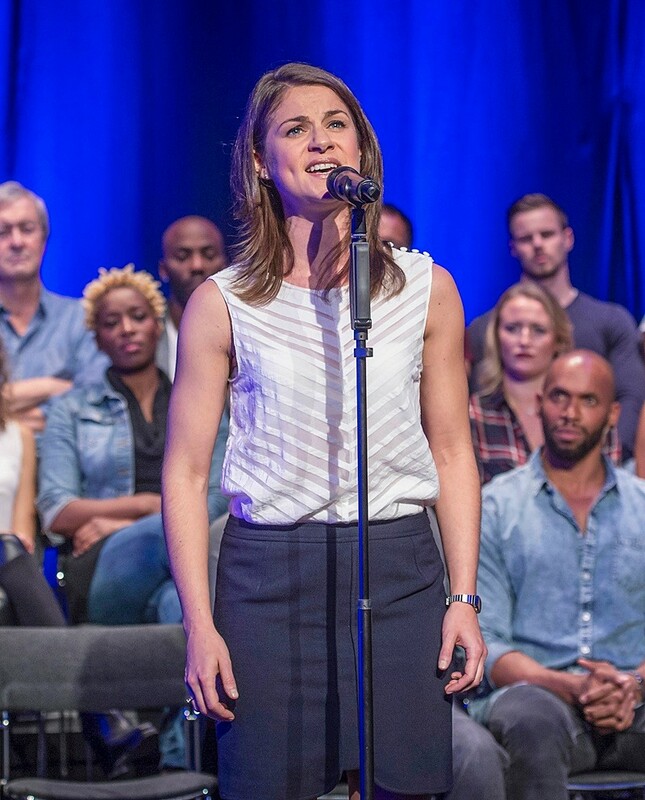 Lucy Scherer: The thing I'm looking forward to the most is the moment that defines musical to me: when the character can't help but burst into song from all the emotions. And also, of course, being able to tell an entire storyline live in an evening – with an orchestra, the highly motivated cast and all the colleagues behind the scenes from the technical, costume and make-up departments! What characterizes your leading character Adrian? Adrian trusts her gut feelings. She breaks out of her comfort zone and changes her life situation and her self-conception. Because in Rocky she senses someone that sees her and accepts her as she is. For him she wants to be strong and find herself anew. The Stuttgart audience knows you from the magical WICKED and from the mystery musical REBECCA. 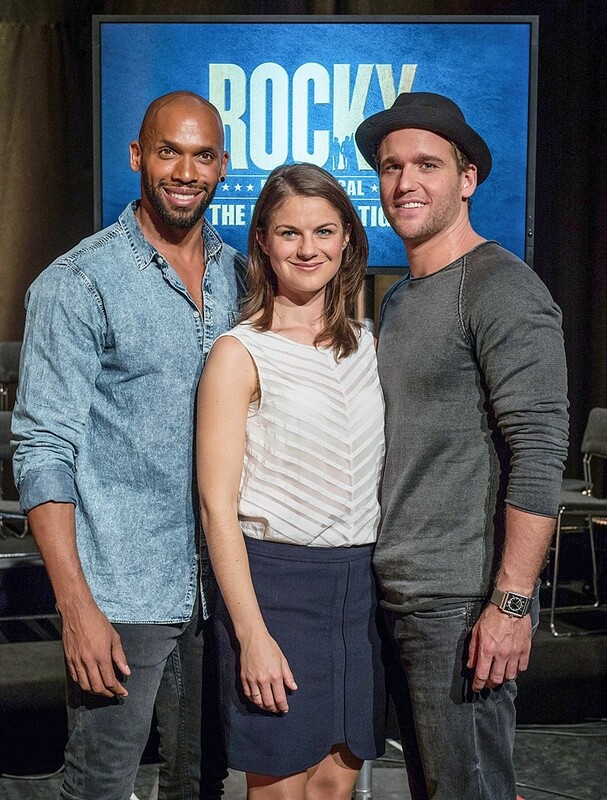 What do you think the audience here will like the most about ROCKY? Stuttgart can look forward to a passionate love story with a spectacular stage setting. There will be lots of fluid, almost film-like changes, when the setting changes from Rocky's small apartment to the big arena. The final fight is staged very spectacularly and will surely stay in the audience's memory for some time! Adrian believes in Rocky completely and doesn't leave his side. Why does she finally choose him? I think that she has been in love with Rocky longer than she wants to admit to herself. When she sees him trying with heart, body and soul to make his honest way, she can finally acknowledge it. What is your favorite place to visit in Stuttgart, when you have a little time? I like going to the Wilhelma [zoo] and am looking forward to my next visit. This time I will pay special attention to the turtles, since Rocky has two of them at home. Die Premiere von ROCKY in Stuttgart rückt näher. Dementsprechend laufen die Vorbereitungen für die aufwändige Produktion in allen Abteilungen des Theaters auf Hochtouren. 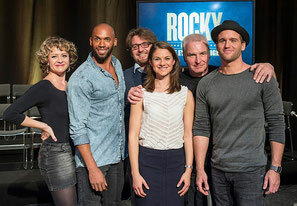 So auch bei Christoph Drewitz, dem Künstlerischen Leiter von ROCKY, der heute die komplette Cast des Musicals vorstellte. Er probt derzeit mit den 33 Darstellern aus sieben Nationen Texte, Choreografien, Abläufe und Lieder. Doch damit nicht genug. In der Stuttgarter Inszenierung von ROCKY wird es neue Szenen und neue Songs geben: darunter auch der weltbekannte James Brown-Klassiker „Living in America“. 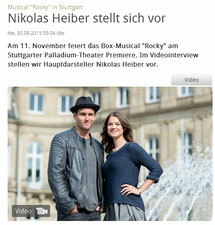 Opening night for ROCKY in Stuttgart is moving closer. The preparations for the elaborate production are in full swing in all departments of the theater. 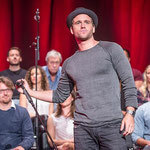 That's also true for Christoph Drewitz, artistic director of ROCKY, who today presented the entire cast of the musical. At the moment he is rehearsing lines, choreographies, routines and songs with 33 performers from seven nations. But that's not all. 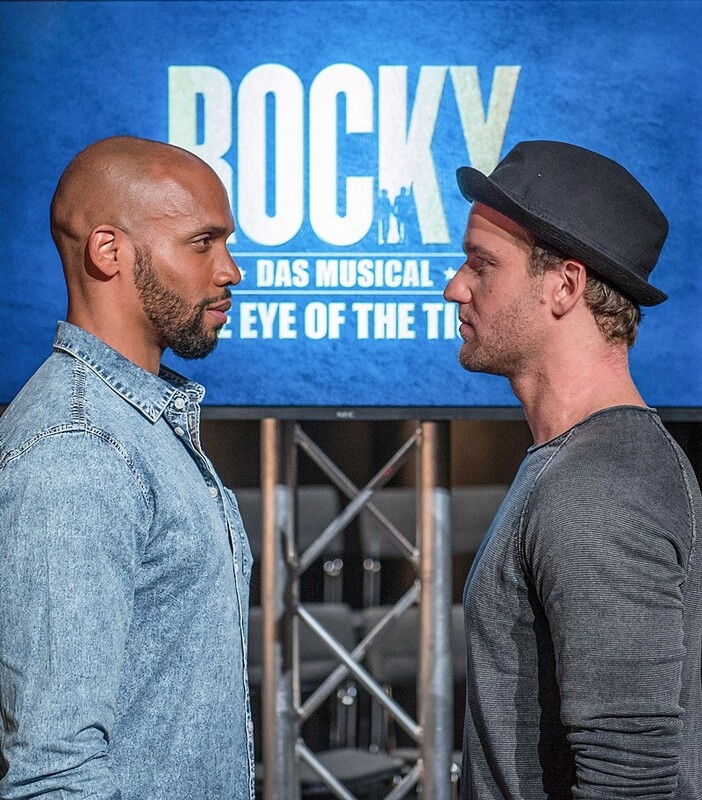 There will be new scenes and songs in the Stuttgart production of ROCKY – including the world-famous James Brown classic „Living in America“. Das Ensemble besteht aus 33 Darstellern aus neun Nationen. Die sind extra neu für Stuttgart gecastet worden. Lucy Scherer gehört auch dazu. Sie spielt die weibliche Rolle Adrian. Die Stuttgarter kennen sie schon aus Tanz der Vampire, Rebecca und Wicked. The cast consists of 33 performers hailing from nine nations. They have been newly casted for Stuttgart. One of them is Lucy Scherer. She plays the female lead Adrian. The Stuttgart audience already knows her from TANZ DER VAMPIRE, REBECCA and WICKED. Lucy Scherer is 34 years young, born in Munich, slender with dark hair and blue eyes. She sympathizes with her character Adrian. "It's incredibly sad, if you think about it, that this young woman at 30 years of age lets everyone boss her around, just suffering and not even trying to defend herself. She simply exists, and that's enough, somehow. And then she gets to know Rocky and he sort of gives her life meaning and says: Hey, you're okay just the way you are and you are great as you are but if you start moving, maybe something more will happen." Knapp eine Woche vor der Stuttgarter Premiere gewährt dieser SWR-Videobeitrag einen Blick hinter die Kulissen. Am Detailverliebten Set voller High Tech ist vor allem Präzisionsarbeit gefragt. An den 320 Outfits und mehr als 1.000 Kostümteilen wird noch genäht, und Techniker feilen eifrig daran, dass die 29 Szenenwechsel im Stück reibungslos über die Bühne gehen. Außerdem in dem Video: Ausschnitte aus dem Song „Wahres Glück“. Not quite a week before opening night in Stuttgart, this SWR video report takes a peek behind the scenes. On this high tech set with its attention to detail, precision work is in high demand. There is still some sewing to be done on the 320 outfits and more than 1000 costume pieces, and technicians are busy tinkering with the stage so that the 29 scenery changes will go off without a hitch. Also in this video: excerpts of the song "Wahres Glück". A really interesting radio interview where Lucy Scherer and Nikolas Heiber grant many insights (more than 30 minutes). Sorry, guys, too long for a translation! 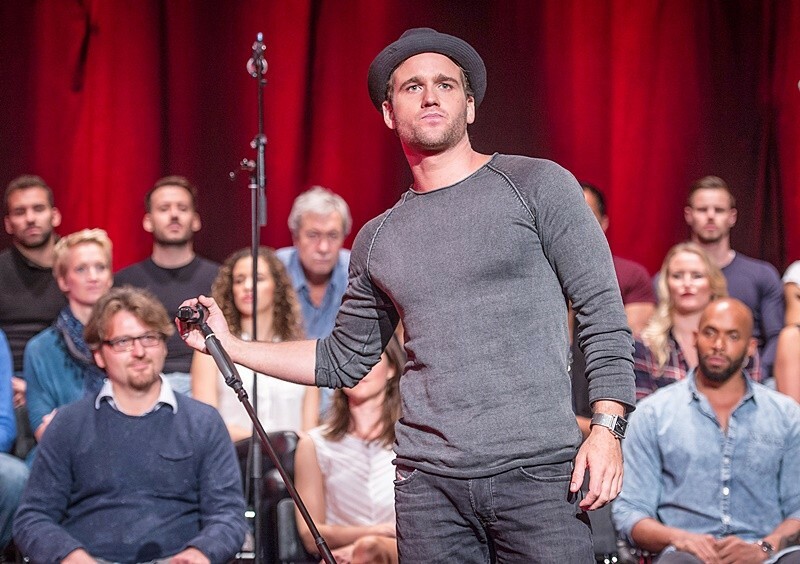 But, for instance, Lucy enjoys being able to sit back and watch as Adrian from time to time, while Nikolas has to be onstage about 90% of the show. But still, she isn't relaxed enough to drink a cocktail during those breaks. It's a highlight for both of them to work together with the original creative team that even made some changes specially for the Stuttgart production. And Rocky's apartment is chock-full of highlights as well: even the fridge has its own sound effect and on the window sill there is a small cockroach. Oh, and by the way, the fridge may only be opened when the front door is closed. Details, details, details - wonderful!